Whole Foods Market has announced Wednesday, June 17 as the opening date for the new 35,000-square-foot store at the Runway at Playa Vista located at the corner of Jefferson and McConnell in Playa Vista. The store will be the anchor in the 3,500-unit residential development. The store will offer expansive social spaces designed to serve as extensions of the home and cultivate a uniquely connected community, including a full service bar named Astro Bar, multiple dining areas and seating to accommodate more than 150 people. Other unique offerings will include home delivery to Playa Vista residents, a flexi card plan for LMU students and seven levels of parking with more than 200 spaces. As Whole Foods Market does in every community in which they open, they will partner with like-minded organizations to foster and support local nonprofits, suppliers, businesses and residents to support community development. To commemorate the opening, Whole Foods Market will host several upcoming events, including a reusable shopping bag design contest to engage the community’s creative businesses. The winning design will be sold at the Playa Vista store for a limited time and proceeds will go back to the winning organizations’ nonprofit of choice. For details on all upcoming events and activities, follow the store at facebook.com/WFMplayavista or at WFMPlayaVista on Instagram. The Playa Vista store will bring more than 200 jobs to the area and will be the first Whole Foods Market to open in Los Angeles since 2008. 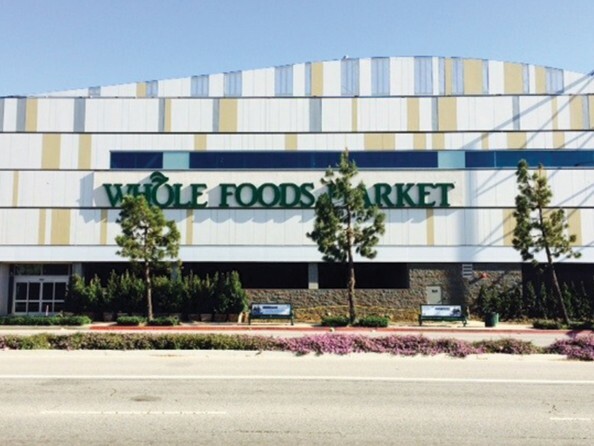 Whole Foods Playa Vista is located at 12746 Jefferson Blvd. in Playa Vista.